Van Ness Feldman provides a full range of pipeline safety services for operators of gas and liquid pipelines and LNG facilities. Attorneys with extensive experience in the pipeline industry and with key regulatory agencies, including the Pipeline and Hazardous Materials Safety Administration (PHMSA), provide guidance on day-to-day compliance questions; defend operators in federal and state enforcement proceedings; advise in litigation proceedings; provide post-incident counseling; counsel on regulatory and legislative policy matters; coordinate with consultants and other technical professionals to review or draft compliance plans; help prepare for audits and inspections; lead internal investigations; assist with special permit applications and implementation; and help develop regulatory strategies for using new materials and technologies. Our advice to clients is multi-faceted, taking into consideration big-picture safety objectives and an appreciation of business, regulatory, and legal risks facing companies. In response to enforcement actions, we team with client’s engineering and business personnel to develop case strategies; prepare strong response documents, and develop and implement creative solutions. When necessary, the firm represents clients in civil pipeline safety litigation in the federal and state courts. Van Ness Feldman’s Pipeline Safety Group publishes a bi-weekly “Pipeline Safety Update” to inform clients, colleagues, and other stakeholders of important developments affecting pipeline safety. To ensure regular delivery of this resource, please register here. 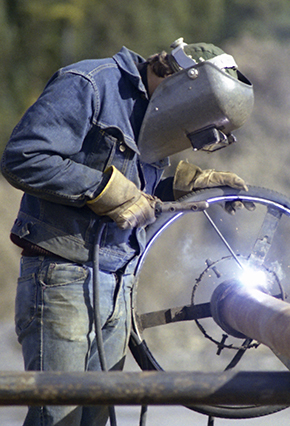 Defended pipeline operators in multiple enforcement proceedings involving such issues as welding, operator qualification, and physical security of facilities, achieving withdrawals of Notices of Probable Violations, proposed civil penalties and compliance orders. Assisted in successfully resolving enforcement proceeding involving the application of PHMSA’s Part 192 MAOP and record-keeping requirements to gas distribution pipelines constructed before 1970. Helped operator negotiate favorable consent agreement to resolve the application of PHMSA’s Part 195 regulations to natural gas liquid fractionation facilities. Counseled LNG operator on a corrective action order proceeding that involved a hearing and helped with implementation issues. Assisted hazardous pipeline operator in managing notice of proposed safety order. Counseled operators with respect post-incident issues involving drug and alcohol testing. Advised operator in district court litigation involving jurisdictional status of plant piping. Provided gas pipeline operators with regulatory certainty in applying Part 192 MAOP requirements and conversion regulations to transmission and gathering pipelines, successfully helping operators manage real-life operational circumstances, conserve resources, and achieve business and operational objectives. Provided hazardous liquid pipeline operator compliance guidance and regulatory certainty in applying integrity management regulations to non-line pipe. Assisted pipelines in determining whether gas pipeline segments should be classified as transmission, distribution, or gathering. Provided gas pipeline operator regulatory certainty with respect to the construction of new road crossings over existing pipeline. Provided gas pipeline operators regulatory certainty regarding the classification of farm taps facilities and their regulatory status. Helped provide regulatory certainty to pipeline operators in assessing whether their pipelines are subject to PHMSA jurisdiction, and if so, which regulations apply. Guided pipeline operator in applying odorization requirements for new and existing pipelines. Assisted gas and hazardous liquid pipeline operators in determining jurisdictional and classification status of terminal piping. Helped gas pipeline operator prepare applications for special permits. Reviewed written compliance procedures for Control Room Management, Distribution Integrity Management, Operating and Maintenance, Emergency Response, and other PHMSA regulatory programs to assess compliance with regulatory requirements. Help operators assess the impact of new PHMSA regulations in rate and abandonment proceedings before FERC. Identified compliance issues in connection with the acquisition and sale of assets. Helped trade association and pipeline operators prepare comments on complex notice of proposed rulemaking that may significantly amend safety standards for gas transmission and gathering pipelines; guided trade association on outreach to FERC regarding rate and abandonment implications of PHMSA’s notice of proposed rulemaking. Provide training and seminars to management, operational staff, and in-house legal staff regarding PHMSA jurisdiction and regulatory programs. How will changing pipeline safety requirements affect America's growing domestic gas supply? FERC Issues Final Audit Reports for Colonial Pipeline Company and Enterprise Product Partners L.P. In Case of "First Impression" FERC Dismisses Application To Operate Facilities in Hawaii to Receive LNG from Continental U.S.